The last two decades has seen a recurring outdoor debate about the value of GPS compared to map and compass for navigation. This resurfaced on social media recently so I posted a link to this piece that I wrote back in 2012. Amongst reactions to this was a very interesting one from @tthef who gave a link to a blog post of his own called On the Importance of Being Lost that set me thinking. tthef makes some good points in this piece, in particular about the need to be able to read the terrain and about situational awareness. I agree that both are very important. However tthef rejects GPS as just a convenience rather than a safety investment and says that using it deprives him of learning opportunities. For him it's 'little more than a way of sharing and following tracks'. Now I think this can be true of GPS but not necessarily so. It all depends on how it's used. Yes, you can programme in routes or just download them and then follow the little arrow. In the same way you can use a guidebook and walk a route with that in hand. 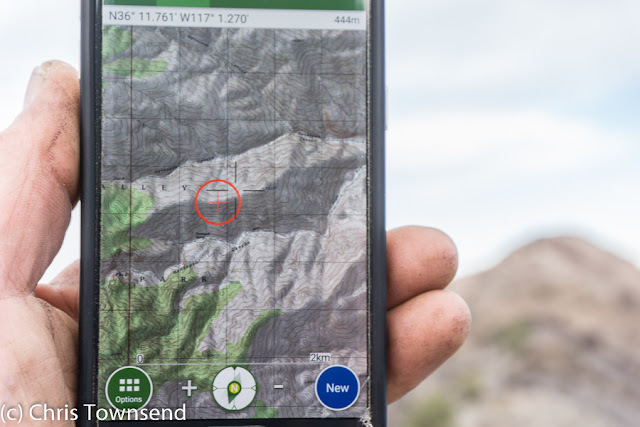 In both cases you won't learn how to read the terrain or develop any situational awareness and in both cases if you wander off the route or fail to follow the arrow or route description you could quickly become lost and then have no idea what to do. However GPS doesn't have to be used in this way. Except when I'm testing one I never programme in routes or record tracks. I taught myself navigation by trial and error long before GPS existed. And I got lost quite often. I only realised one of those expensive compass things might be useful after a wet misty November day on Kinder Scout when I became hopelessly disorientated and ended up descending far from where I wanted to be. 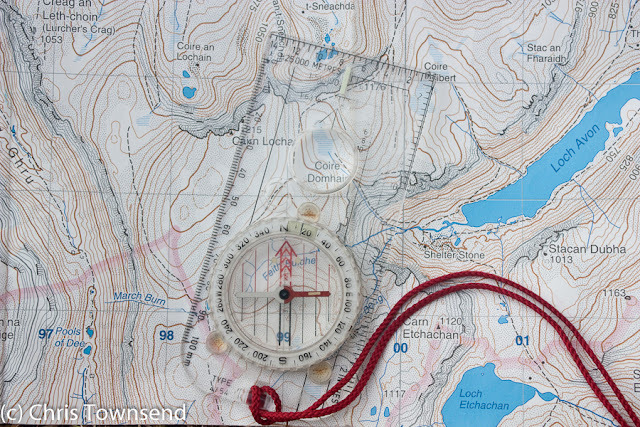 Many years later I discovered that compasses aren't infallible when I descended the wrong side of Ben More on Mull - I didn't know the summit rocks were magnetic. The longest I've been lost was for the best part of a week during my length of the Canadian Rockies walk. A supply box having failed to turn up (the only time that has ever happened) I'd set off with 1:250,000 maps, the only ones I could get locally, that were completely inadequate for wilderness walking. Once I wasn't sure where I was I had no means of finding out. I knew however that if I headed north I would eventually hit a road so I followed my compass until I did. The rugged forested terrain with many deep craggy valleys meant I couldn't walk north in anything like a straight line but had to constantly weave around obstacles. That weaving around I think of as route finding. To me there are two parts to safe travel in the hills and wild places: navigation, which means knowing how to find the direction I need to go to reach my destination, and route-finding, which means finding a safe way there. This where reading the terrain comes in, something that doesn't require any navigation equipment but does require some skill and experience in understanding the nature of the landscape and how to travel across it. If my terrain reading skills had been better I might not have got lost on Kinder Scout despite not having a compass. In the Canadian Rockies I knew I was east of the main crest and that all streams and rivers would therefore eventually run east out of the mountains so I would have to cross them at some point to continue north. That was reading the terrain on a large scale. Hour to hour it meant finding safe ways down into the canyons and across the rivers and up the other side. When I go to the hills I do so to experience the landscape, the wildlife, and being in the outdoors. I don't want to spend time looking at a map, whether paper or on a screen, or a compass. So I don't spend any more time than necessary on navigation, which can mean hardly any time at all. I do study the map at home and have an idea of the terrain if the place is unfamiliar. On the hill I may glance at the map occasionally, though that's often to identify a feature rather than for navigation. If visibility is poor I'll keep a closer eye on the map and make sure my compass is to hand. As long as I can relate the terrain to the map and to my expectations I don't use the latter though. And GPS? That comes in as a quick and convenient way of pinpointing my exact position. I've done enough map and compass navigation over the years to welcome something that makes navigation easier. I have no objection to convenience! I think it makes for safer navigation too because I can find where I am so much quicker and often much more accurately than with map and compass. 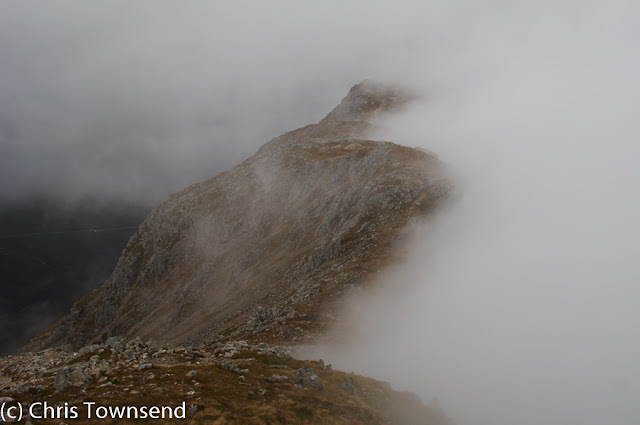 In the middle of somewhere like the vast undulating Moine Mhor plateau in the Cairngorms when the mist closes in it can be very difficult to work out where you are unless you've been keeping a close eye on the map - which I usually haven't been doing. 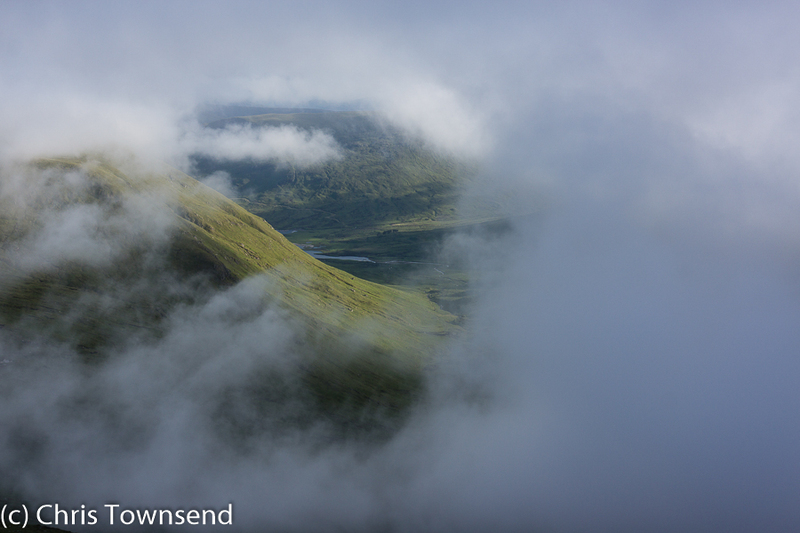 Now the Moine Mhor isn't dangerous in itself as long as you watch your footing but you could easily wander round in circles for many hours and the edges are steep and hazardous in many places. Locating one of the safe ways off is much easier if you know where on the Moine Mhor you are. Yes, you can aim off with your compass (deliberately head to a linear feature such as the edge of the plateau to one side of the spot you want to reach) and then work your way round to the descent route but it's much quicker to head there directly. And that could be safer too as you'll be less tired and maybe won't be caught out after dark. An example of where GPS saved me time and from going the wrong way occurred towards the end of my Yosemite to Death Valley walk last autumn. 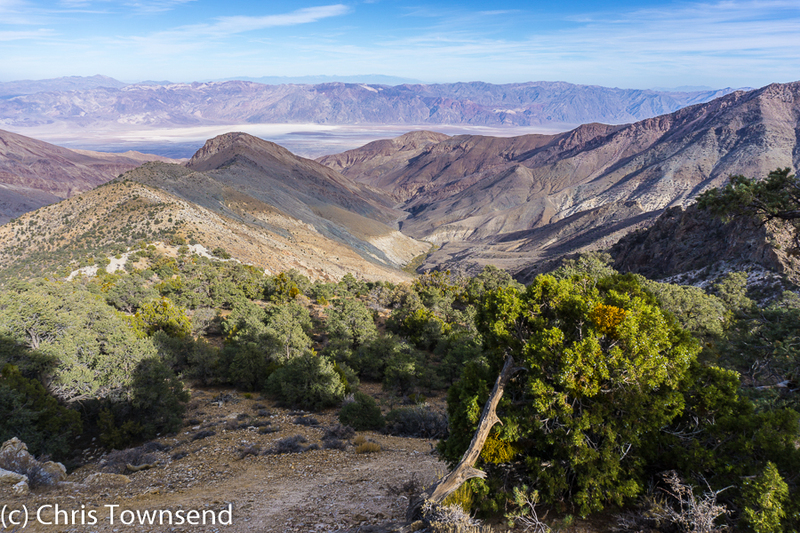 I had a long cross-country 11,000 foot/ 3350 metre descent from Telescope Peak down a fairly broad winding ridge to do. The initial steep descent down steep scree had no navigational problems - not going too fast and not falling was another matter -but below that I entered a fairly dense pinyon pine forest where the closeness of the trees and lack of views made route-finding quite difficult and sent me off in many different directions. There were spurs leading down into the canyons either side that I needed to avoid but the undulating nature of the terrain made it very hard to know exactly where I was. This is where my GPS came in. Every so often I'd check my position then correct my route so I was heading in the right direction again. I didn't walk with the GPS (my smartphone in fact) in hand - I don't like doing that and it wouldn't have been wise on the rocky, fallen tree strewn ground - but checked it briefly whenever I suspected I was going wrong (which happened quite a few times). I could have got down without GPS but it made it much easier and helped shorten what was any way a very long strenuous day. So my navigation starts with reading the terrain, followed by occasionally checking the map, and finally using the compass and GPS if I'm really unsure. The last two I do tend to use together - the GPS to find my position and then the compass for a bearing to follow. Overall I'm in sympathy with tthef. Over-reliance on GPS (or guidebooks) can mean failing to learn about your surroundings. However I do think GPS is a useful tool and it is one I'm glad to have. It shouldn't take over though and doesn't replace basic navigational skills.